I'm waiting for my UM2 to have as much fun as you have in the world of 3d printing. My background is 3d graphics (since 1994) and some mechanical engineering. 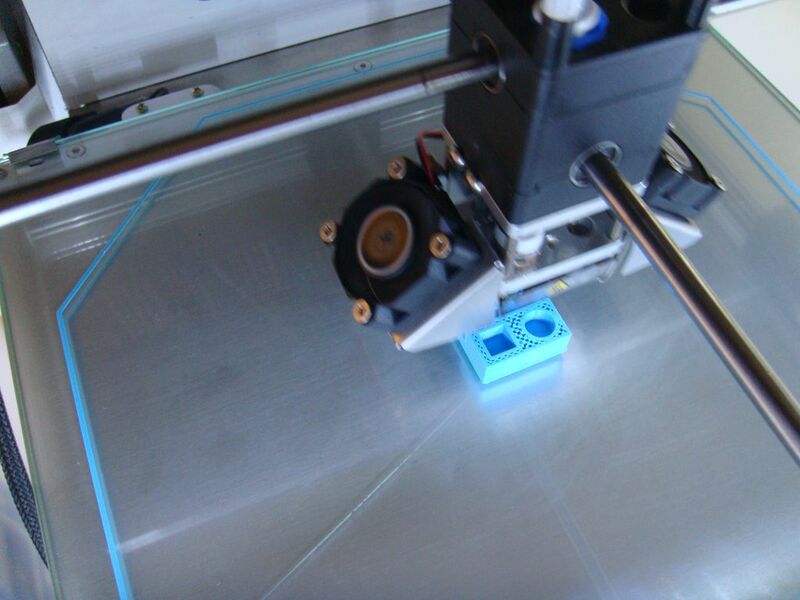 I have done some 3d prints at i.materialize and shapeways, and want to jump into desktop 3D printing. I'm following this forum for some weeks and it seems to be a nice place. Welcome, Conz! We'll be looking forward to seeing what you do with your printer when you receive it! Don't hesitate to post if you have any questions or problems! As Illuminarti said, please feel free to post any questions or remarks you have. 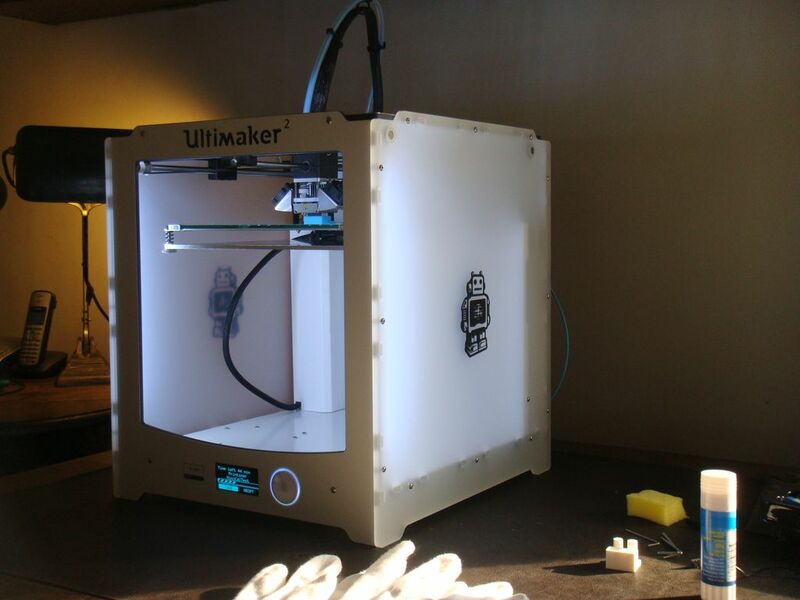 Looking forward to see what you will be using the Ultimaker for! Thank you for the nice welcome. 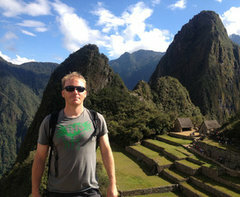 I'm planning to print some parts for a quadrocopter, and an archaeological reconstruction of an old peruvian temple. Eine hertzliche welkommen in die Ultimaker Forum. Auch, nur als kleine tip. es gibt ein sehr schone Deutsch teil von diese forum.. so du kannst deines fragen stellen in Deutsch kein problem aber... mein tip ! .. es gibt immer noch viel mehr benutzers benutzen Englisch und manchmal es gibt ganz einfanch mehr.. feedback wann du screibs in Englisch... aber muss nich ! So viele viele spass und schone grusse aus Leipzig. First test print looks good. Printed the test object (there is no robot on the SD Card :( ) and it looks good ... better than the sample . It seems there is no damage on the printer. And some still life of the UM2 on my desk. Conz. Congrats... you now have a " Happy Corner "
fanastic to hear you got your printer and its all working. Have a lots of fun with your new dream maschine ! 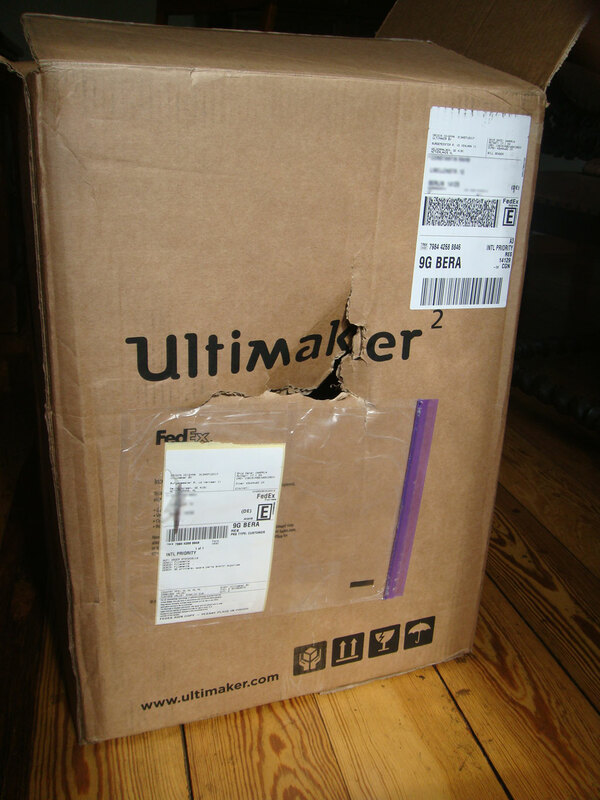 It was FedEx, not DHL.